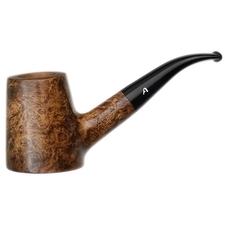 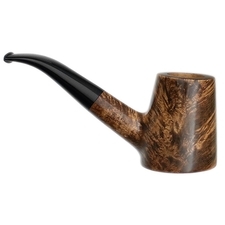 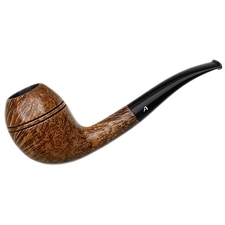 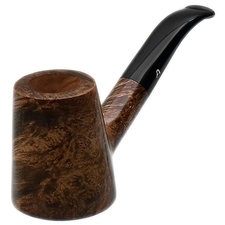 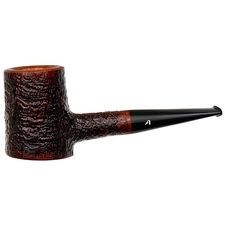 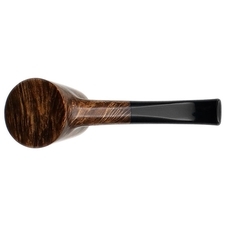 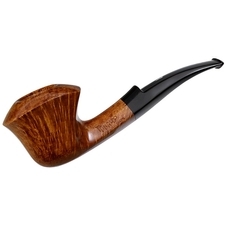 Quite a dynamic, yet clean-lined take on the Cherrywood shape, this piece from Ascorti features a strong taper up from its broad, flattened base, giving it an almost Volcano-like look in profile. 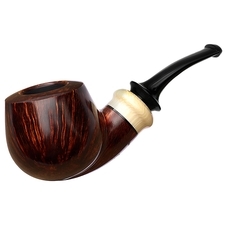 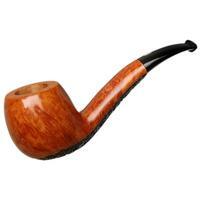 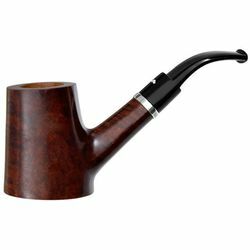 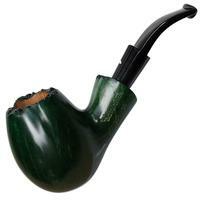 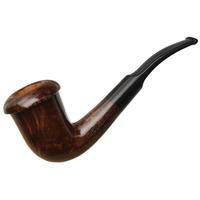 Its high-set transition and out-stretched shank and stem contrast nicely with those harder lines along the bowl, while also balancing out the design as a whole — making it an excellent sitter shape and desk pipe. 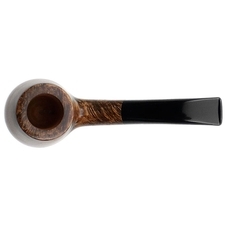 It's finished here in the dusky walnut-chestnut contrast stain of the Camo line, showcasing some very impressive birdseye around the bowl.